The material handling industry is undergoing some major changes, with electrification and the Fourth Industrial Revolution already beginning to change the way we plan and run our operations. That said, we also understand the importance of solving the timeless material handling challenges shaping your business today. Health and safety remain crucially important, particularly the need to balance your operators’ comfort with their efficiency when using ICE trucks for heavy-duty applications. Prioritise comfort and productivity could suffer. Emphasise efficiency and risk running foul of health and safety protocol — or worse, negatively impacting your employees’ health. When forklift operators drive at too high a speed, it increases the likelihood of whiplash should they suddenly have to break. The best way to combat this is by setting clear speed limits from the outset. Your desired speed limit will depend on the type of forklift, weight of the load, application conditions (for example, the weather if it’s outdoor, or logistics if indoors), acceptable stopping distance, and the number of pedestrians around (if any). However, a good rule of thumb is to enforce a speed limit of no more than eight miles per hour if pedestrians aren’t present, and a speed limit of three miles per hour if they are. Not only does setting forklift speed guidelines improve operator comfort, but it significantly reduces the risk of forklift accidents, which can be detrimental to your operation’s efficiency and profitability. Muscle strain is often to blame when it comes to forklift truck injuries; in fact, 61,800 non-serious forklift injuries occur every year. Despite this high number, forklift injuries can easily be avoided by ensuring operators take time out of their days to pause and stretch. The fewer forklift injuries that take place, the more efficient your operation will be since increased downtime can stall production and harm profits. Without regular stretching breaks, operators can find themselves sitting in the same position for hours at a time, which is no good when it comes to encouraging a comfortable operator environment. Encouraging every forklift operator in your workplace to make time for routine stretches — or even making this mandatory — will do wonders for their comfort, health, and wellbeing, not to mention your own peace of mind as an operations manager. One of the most impactful ways to balance forklift operator comfort and efficiency is to ensure you choose the right forklift truck for your application. 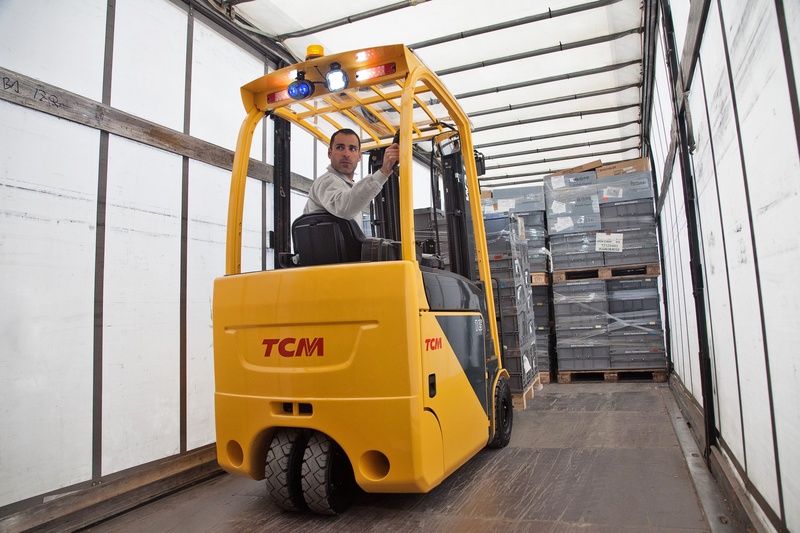 At TCM, we understand that every business is unique and therefore we dedicate time to assessing your current operation, identifying your requirements, and proposing the best fit solution for your business. For example, for heavy-duty applications, your operation could be well-suited to our FD and FGE 3.5-5.0 engine counterbalance truck. This truck features a spacious interior for the operator, an adjustable seat, and a steering column, enabling the driver to customise the truck controls for maximum comfort during long shifts. Combined with car-like driving characteristics, the FD and FGE 3.5-5.0 engine counterbalance truck facilitates a comfortable operator experience. Improving operator efficiency and reducing your operational costs should go hand in hand. To discover more ways to cut costs in your operation, download our free guide, 'Reducing the TCO of your forklift fleet' today.